1. Take extra care of yourself – times of change can be physically and mentally taxing, so even 10 mins of uninterrupted ‘me time’ can benefit your whole body, have a look my busy is the new black blog for some practical tips. 2. Ongoing curiosity and flexibility – wanting to learn more is essential to transition well through change. So approach change with a scientific, curious or childlike fascination. Be open to the different directions that the change may bring. 4. Be prepared to change habits – this is the hardest step at the beginning, as we are creatures of doing what we have become accustomed to. But remember once the habits have shifted then it will become much easier, as you will have established a set routine. 5. Desire to grow – it’s OK to stumble, and to get stuck, but learning happens when you expose yourself to new experiences and different ways of doing things. Be prepared to develop your growth mindset. 6. Sustained effort – unfortunately ‘hope’ and ‘finger crossing’ alone won’t bring you over the line. Like all good things in life effort overtime is needed. 7. Believe you can change – Sometimes we hold onto our fears from the past when we are faced with change: Will I be able to cope? Is it going to be too hard for me? If you are stuck on your negative beliefs, counselling can help you address your blocks and help you to a shift to mindset that promotes change. What to do when change is not a choice? Take a deep breath. Ask yourself what is the cost-benefit of getting on board with the change? Take the time to map this out. Now be honest with yourself and assess your openness or resistance to this change. It is sometimes hard to admit you just don’t want to change because it may mean changing habits, changing roles or even moving on. Remember it takes more effort to be open to something new, than it is to find fault and reject it. Successful change means you need to be open to learning and doing things differently or expanding on what you already do. Develop strategies to resiliently move through a change. Thank you for reading my blog and my personal account of what change means to me. 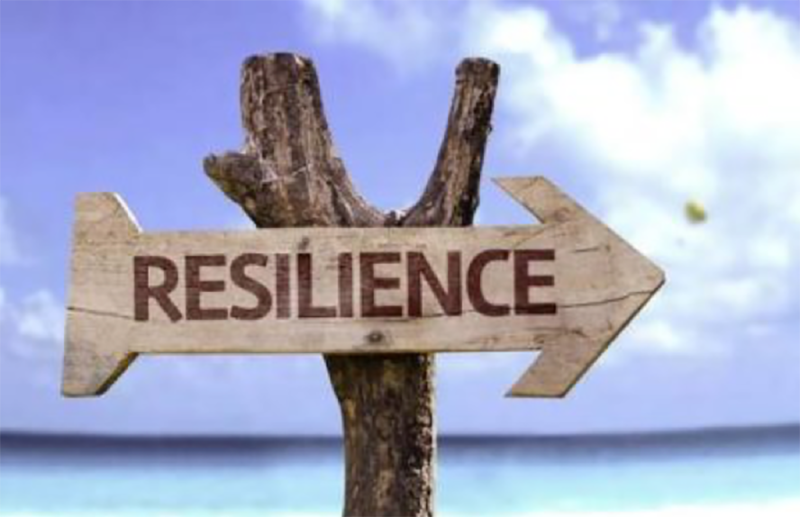 I would appreciate your feedback and look forward to sharing further tips to enhance your resilience and wellbeing in future blogs. Contributor: Nicole Plotkin is an experienced corporate wellness trainer and principal psychologist at the Emotional Health Centre. She is passionate about working with individuals and workplaces to promote, enhance and restore wellness at work and at home through team based resilience, mental health and stress management training programs and individual counselling session.